The verdict has been handed down from a jury of his peers to convict him of 2nd-degree murder and 16 counts of aggravated battery. 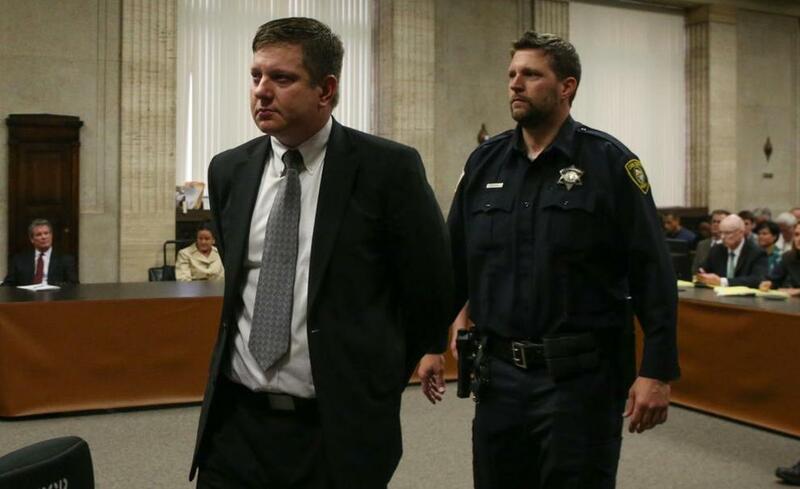 Former Chicago Police Officer Jason Van Dyke was found guilty Friday after a trial that lasted several weeks and had the city of Chicago on edge. Civil rights activists from Black Lives Matter and The Black Panthers were present outside the courthouse eagerly awaiting the verdict. Initially, media reports suggested a possibility of an unfair trial due to a so-called lack of diversity when it came to the jurors' ethnicity. The jury was composed of an Asian-American woman, two black women - the rest being Caucasian. Activists argued that the diversity did not properly represent Cook County, but that issue was soon dropped. It has been nearly four years since then-officer Jason Van Dyke fired his handgun 16 times into 17-year-old Laquan McDonald who was drugged up and armed with a knife. Van Dyke was the only officer to fire, and his report said he and his fellow officers successfully thwarted McDonald's attempt to reach a crowded Burger King. Laquan brandished his knife threateningly at officers and walked forward at an angle that was slightly away from the officers. Van Dyke was the closest officer to McDonald, and although he was not in the direct path of Laquan, he was within close enough proximity to be killed by a drug-using knife-wielder had he not acted quickly. The prosecutors questioned Van Dyke about why he didn't back up, to which he answered there was "a wall of police cars" behind him and he could not back up. In his report, Van Dyke recalls stepping away from McDonald as he approached. The shooting was ruled justified when it originally occurred October 20, 2014. But thanks to a judge ordering the release of the dash cam footage 13 months after the shooting, the video showed that the details in Officer Van Dyke's version of events didn't seem to line up with what the dash cam captured. Initially, after the shooting was ruled justified and there was a cover-up to conceal video evidence. Three years later, on June 27, 2017, three officers were charged with conspiracy, obstruction of justice, and official misconduct for their role in covering up the details of the shooting such as Burger King surveillance footage and dash cam video which can be seen below. One Chicago resident said, "I would say guilty. He should have waited longer. I mean, he knew the Taser was coming. That's what did it for me." The officer bearing a taser arrived 25 seconds after Laquan McDonald had hit the ground. The prosecutors also brought shooting experts from the FBI who noted that the speed and accuracy with which McDonald was shot was nothing short of high-level competition shooting. Officer Van Dyke had been with the Chicago Police Department for 14 years up until the shooting. "Where was he actually causing an issue that, you know, Jason Van Dyke thought that he needed to use deadly force?" an alternate juror said. "I just don't understand that." An expert in psychology and the effects of being in a shooting or perceiving a threat to your life also testified that he believed that Van Dyke truly believed his life was in danger. But ultimately, the jury decided that a reasonable officer in the same circumstances would not have fired at all. The alternate juror also referred to Van Dyke's version of events which included McDonald lunging at him and his partner, him being forced to backpedal, and McDonald raising his knife. He also noted that Van Dyke said that McDonald tried getting up off the group with the knife still pointed toward him after he was shot the first 14 times. That is when Van Dyke shot him another two times, but the video did not show McDonald try to get up. The defense brought other corrections officers to testify about McDonald's behavior during their interactions with them in juvenile lockup, and he was frequently a troublemaker who called the guards names and liked to fight with staff. "None of that happened," she said. "You've seen it on video. He made it up." In the video, Van Dyke can even be seen taking steps toward McDonald while he is shooting, something prosecutors brought up which showed Van Dyke would have been retreating if he were in fear of his life. Officer Van Dyke's partner Joseph Walsh also said he saw McDonald raise the knife even though that can't be clearly seen in the video. The dash cam footage is also taken from behind McDonald, so it is possible that his hand had reached in front of his chest and pointed his knife toward the officers without the act being clearly seen from the dash cams perspective. Jurors also heard in the case that Van Dyke told a psychologist who interviewed him named Dr. Laurence Miller that he heard over the radio while on the way to the scene that the suspect had punctured the tire of a squad car. Van Dyke then told his partner, "Oh my God, we're going to have to shoot the guy." The cover-up has led to the police superintendent and the county's top prosecutor both losing their jobs, one fired by the mayor of Chicago and another was voted out. The shooting also prompted a U.S. Justice Department investigation that concluded that a "pervasive cover-up culture" existed in the department. The investigation prompted plans for far-reaching police reforms which is always governments answer, more training and more people that ultimately grows government at the taxpayers' expense. While the verdict was read aloud, Van Dyke sat looking forward expressionless and didn't move a muscle as the 16 counts were read against him. Each count of aggravated battery carries a sentence from 6 to 30 years, but it is likely that the counts will be merged and allowed to run consecutively, so Van Dyke is realistically facing 6 to 30 years in prison. He was led out of the courtroom as his bail was revoked immediately after the verdict was read. Shortly after the hearing, the jurors spoke with the media. I kind of hope the judge gives him the minimum which I think is six years. the world is a better place with both of these guys off the street..
he "pointed his knife" at the cops AFTER he was shot and dying so they blasted him 15 more times just for good measure. Sure the black dude was an idiot but when cops get into 'hero mode' watch out. they shoot and shoot and shoot until they empty their magazine. dead suspects tell no tales.